Updated: 1:43 p.m. | Posted: 9:17 a.m. Prosecutors with the National Remembrance Institute, which investigates Nazi and Communist-era crimes against Poles, have asked a court in Lublin to issue an arrest warrant for Karkoc. If granted, Poland would seek his extradition, as Poland does not allow trial in absentia, Janicki said. He added the man's age was no obstacle in seeking to bring him before justice. "He is our suspect as of today," Janicki said. 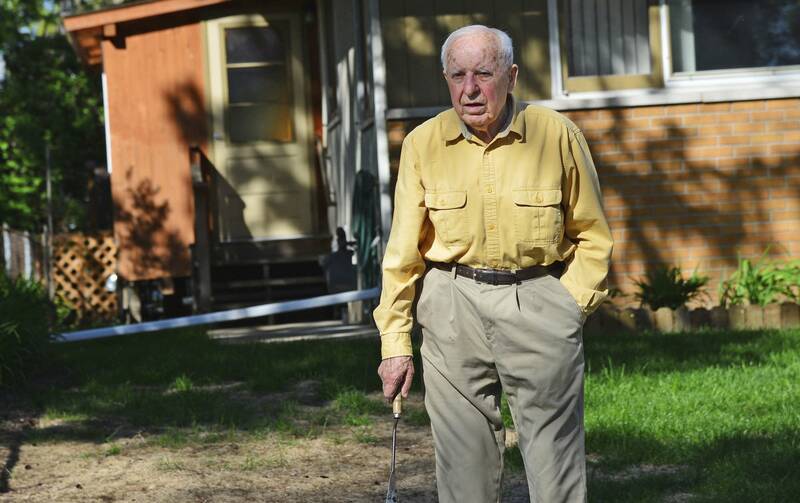 If convicted of ordering the killing of civilians in 1944, Karkoc could face life in prison. "Any legal step that's taken against these people is very important," he said by telephone from Jerusalem. "It sends a very powerful message, and these kinds of things should not be abandoned just because of the age of a suspect." Pozorski, in Warsaw, shared this view. Karkoc's family says he suffers from Alzheimer's disease. Zuroff urged that he be reassessed by independent doctors. "It is a very common occurrence that elderly individuals facing prosecution for World War II crimes make every effort to look as sick and as infirm as possible," he said. The investigations in Germany and Poland began after AP's story in June 2013, which established Karkoc was a commander of the unit and then lied to American immigration officials to get into the United States a few years after the war.